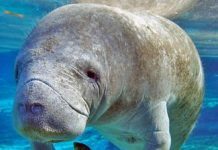 Here are some of the rarely known endangered species facts. 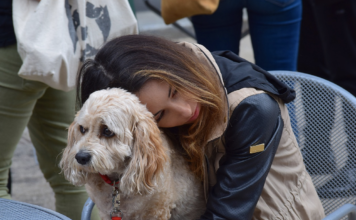 The crying need of the hour is to create a public understanding in the mind of the masses for the conservation of these species. 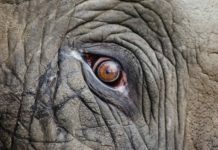 A large number of species are listed as endangered each year and quite a few of them have become extinct in the wild and living only in captivity. 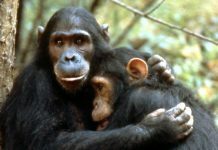 It goes without saying that there are certain zoos that are putting their best efforts to return the offspring in the wild. Referring to a report released by Word Summit on Sustainable Development, took place in Johannesburg, almost 25% of the 4,030 world’s mammalian species, while 11% of the 9,075 bird’s species, are at the verge of extinction and the numbers will continue to grow until and unless some serious steps are not taken to preserve them. One of the primarily causes of the extinction is a dramatic change in climate in the Ice Age as a result of which many plants and animals had disappeared from the planet earth. Some other unnatural causes include overhunting, destruction of habitats, wildlife trade, and competition with domestic and non-native species. The Galapagos penguin (Spheniscus mendiculus) is a penguin subspecies native to the Galapagos Islands. These penguins inhabit all along the north of equator in the wild. They are adaptable to survive in cool temperatures and in great depths. This is one of the banded penguins. 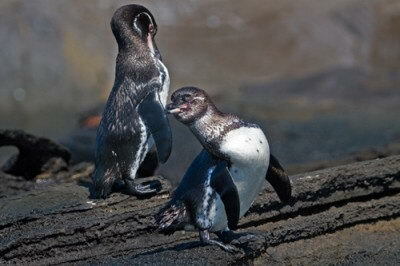 The length of the Galapagos penguins measure around 49 cm (19 inches), with the weight measuring at 2.5 kg (5.5 lb). Males are larger than females but there is no dissimilarity in their physical appearances. Galapagos penguin is the third smallest penguin species. They are found in the Isabela Island and Fernandina Island, with a small population also resides in the Galapagos archipelago. 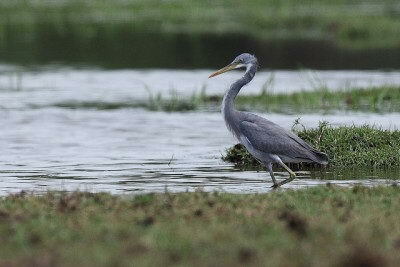 The white-bellied heron (Ardea insignis), also called imperial heron is a large heron species inhabit all throughout the foothills of eastern Himalayas in India, Bhutan, and Bangladesh. Some of these species are also found in Nepal. They are characterized by their white throat and white undersides but are mostly dark grey. The height of these birds measure around 127 cm (50 inches), with a wingspan measuring at 2 meters (6.6 feet). White bellied heron for the most part lead solitary lives in wetland habitats and undisturbed riverside. 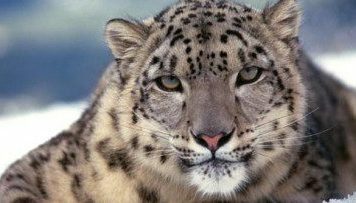 However, the global population is threatened which is why they are listed as endangered species. The Sumatran rhinoceros (Dicerorhinus sumatrensis) is a species of rhinoceros belong to the genus Dicerorhinus. 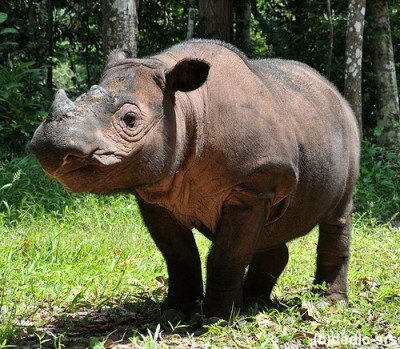 This is the smallest rhino. The shoulder height of these mammals measure around 112 – 145 cm (3.67 – 4.76 feet), with the length measuring at 2.36 – 3.18 meters (7.7 – 10.4 feet) including tail. 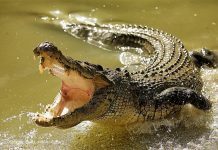 They have a 35 – 70 cm (14 – 28 inches) long tail. Sumatran rhinoceros weigh around 500 – 1,000 kg (1,100 – 2,200 lb). 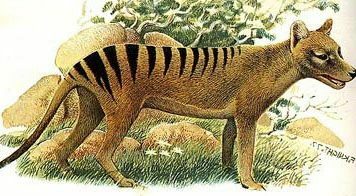 These mammals once lived in Myanmar, Thailand, Bangladesh, India, Bhutan, Malaysia, and China but are now restricted to few places. Sumatran rhino builds their habitats in cloud forests, rainforests, and swamps. 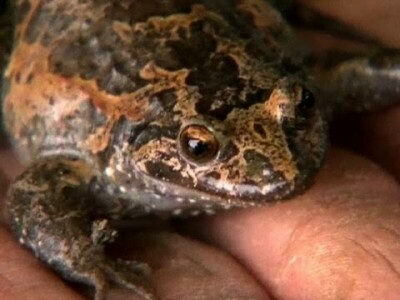 The hula painted frog also known as Palestinian painted frog is an amphibian native to Lake Hula, Israel. 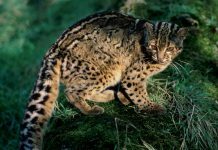 This animal was believed to be extinct until November 2011 when it was rediscovered. The hula painted frog can be recognized by its small white marks and dark belly. The color of the skin is olive-green and greyish-black. The Amsterdam albatross is a large bird that inhabits all along the Amsterdam Island in southern Indian Ocean. 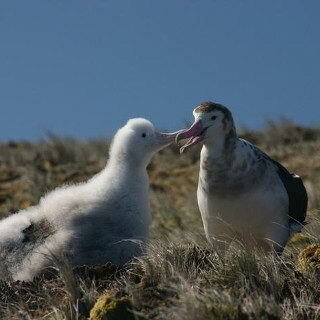 These types of albatrosses are known to live at an altitude of 500 – 600 meters (1,600 – 2,000 feet) above sea level. According to some people a handful number of these species are also found in New Zealand and Australia. The length of the bird measures around 4.8 – 8 kg (11 – 18 lb), along with the wingspan measuring at 280 – 340 cm (110 – 130 inches). The greater bamboo lemur (Prolemur simus), also called broad-nosed gentle lemur, is a large bamboo lemur with the weight up to 2.5 kg. 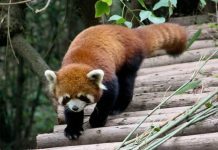 These animals predominantly feed on bamboo and they like to consume shoots and leaves. 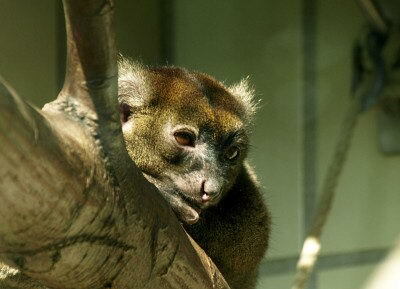 Greater bamboo lemur seldom eats flowers, fruits, and fungi. One of the most confirmed bamboo predators is fossa. They are now limited to southeastern Madagascar, with some species are still found in the Andringitra National Parks. They are awfully dangerous species. The average lifespan of bamboo lemurs is 17 years in captivity.